A huntswoman with a passion for a sport which had its own ‘inherent dangers’ was killed after her horse landed on top of her after jumping a rail. Gemma McCormick, who lived at Thorpe Satchville, Melton Mowbray, died of devastating head injuries following the fall at Milton Park near Peterborough. The 44-year-old retired helicopter pilot had been taking part in a hunt on November 4 when the accident happened. 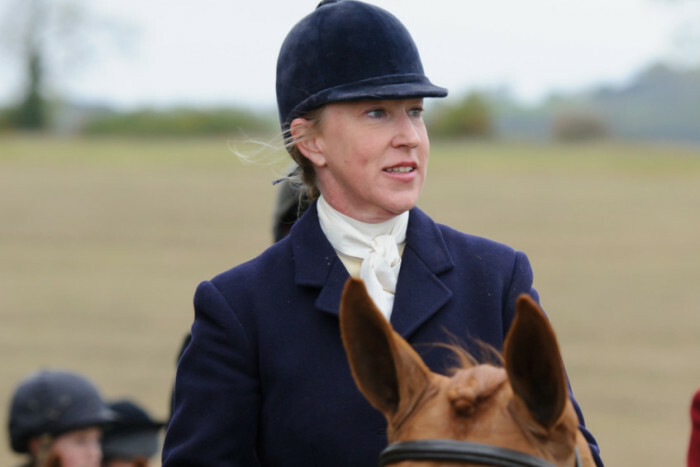 She was an experienced horse rider, and was joint-master of the Cottesmore Hunt. An inquest at Huntingdon registry office heard how the gathered members of the hunt had been in a field when the accident happened. A statement from George Highton, who was part of the group, was read by coroner David Heming. The statement said: “At about 2pm and I was with Gemma taking part in the Fitzwilliam (Milton) Hunt. Mr Highton sad Mrs McCormick then fell from the horse, and the horse landed on the rider. He said she was lying on her back on the ground, and was unresponsive when he tried to talk to her. He then called 999. She was taken to Addenbrookes’ Hospital in Cambridge, and a statement from Dr Xinying Chen said it was clear early that intervention would not be successful. In a statement, also read by coroner Mr Heming, said: “A CT scan sadly showed a devastating injury on the brain. Mrs McCormick died at the hospital on November 6. Following her death Nick Wright, chairman of Cottesmore Hunt, spoke of the ‘huge sadness’ felt by members and supporters of the hunt following Ms McCormick’s death. He said: “Gems was a wonderful joint-master and a generous supporter of the Cottesmore Hunt. “We were lucky to have her as a master from 2012 – she was always immaculately turned out and quietly and efficiently fulfilled her role. “She was a pleasure to go hunting with. “Gems helped the Cottesmore through a very difficult period in her typically understated way and the hunt rightly acknowledged this at our 2014 AGM.